A group of prominent UK celebrities have written a strongly-worded open letter to PM David Cameron denouncing Britain’s resettlement program for Syrian refugees, suggesting it lacks compassion and humanity. 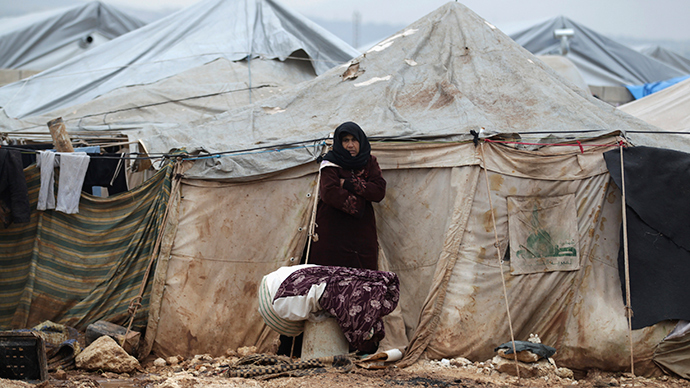 Ministers stressed at the time that the UK could better assist Syrians by striving to improve conditions on the ground. Following an intense period of lobbying, the Liberal Democrat-Conservative coalition finally caved in, dropping its previous opposition to admitting Syrian refugees to the UK. Over the next three years, the government is expected to resettle several hundred Syrians in the UK as part of the scheme. This contrasts sharply with UN recommendations. The UN High Commissioner for Refugees (UNHCR) is urging governments worldwide to offer 130,000 resettlement places to Syrian refugees in the next twelve months. Actress and Oscar winner Emma Thompson, rock musician Sting, and comedian Michael Palin are among the celebrities who told Cameron they are “ashamed” of the British government’s failure to do more to safely relocate Syrian refugees to Britain. The letter supports a collective campaign by Amnesty International, the Refugee Council and Oxfam. Since the onslaught of the Syrian conflict, almost 50 percent of Syrians have been uprooted from their homes and forced to flee. Thousands of Syrian refugees in neighboring Lebanon and Jordon are currently struggling to survive as severe snow storms, strong winds, freezing temperatures and lashing rain hit their makeshift shelters. The UNCHR says some 800,000 Syrians, many of whom left their homes with nothing, are in dire need of assistance. As Syrians continue to face horrific conditions in the Middle East, the British government is failing in its duty to assist them, the campaign letter’s signatories warned. They argued relocating a few hundred people to the UK was not good enough for a leading state like Britain. “In a climate where children are sent to work in order to help their parents survive, where young girls are sold off as child brides and where torture victims are unable to rebuild their lives, every resettlement place countries like Britain provide is a lifeline,” they said. The letter said a simple but historic decision faces the government. The celebrities compared Britain’s resettlement program with Austria’s and Germany’s. They noted how the governments of both states had increased the amount of places they are offering to Syrian refugees as their environment has continued to deteriorate in the face of military assaults from Islamic State. “We are ashamed that the UK has so far failed to do likewise,” the letter said. Maurice Wren, chief executive of the Refugee Council, said the government’s inadequate resettlement program risks blackening its foreign policy legacy in years to come. Kate Allen, Amnesty International UK’s director, said the government’s failure to open its doors on a more significant level to Syrian refugees was shameful.